Providing you the best range of salt packaging machine, coffee packaging machine, atta packing machine, coffee powder packaging machine, besan powder packaging machine and flour packaging machine with effective & timely delivery. We are engaged in offering a quality approved range of Coffee Packaging Machine. 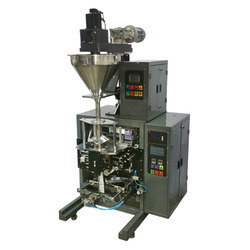 We are engaged in offering a quality approved range of Coffee Powder Packaging Machine. We are indulged in providing a high-quality range of Besan Powder Packaging Machine. We have been able to provide a wide range of Flour Packaging Machine.